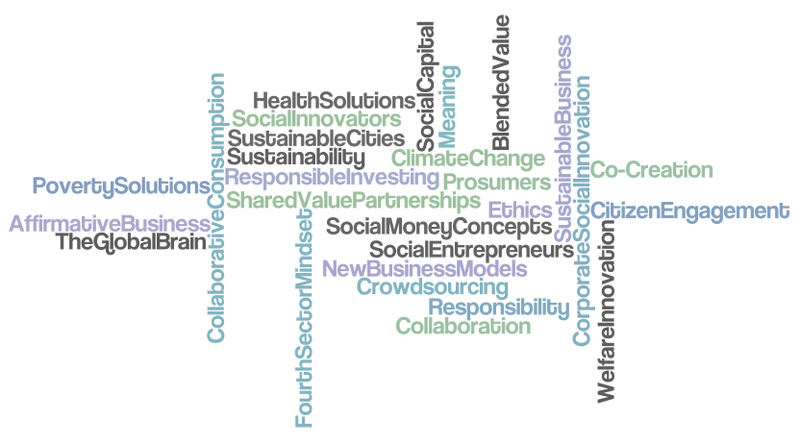 Want to gain insight into the new innovation formulas for problem-solving and economic & social value creation? Learn from progressive companies and social innovators, who are creating wealth and welfare for the benefit of society, the environment and the bottom line. Looking for new welfare solutions, inclusive business models, ideas for reducing waste, sustainable product concepts, cutting-edge learning methods? Well these are just a few examples of what social innovation is all about: new solutions that solve societal problems or meet people’s unfulfilled needs in new ways that improve their lives. It is an expression of how we think, learn, live and work. The co-operative movement, legislation, tax, therapy, insurance, stenography, labour unions, social welfare centres, kindergartens, management concepts, pedagogical methods and e-learning are all examples of social innovations that have emerged in the context of a particular period in history to meet the needs of their time. In today’s quest for sustainability, social innovation is again proving to be a significant driver of creating both economic and social value in benefit of society. Social innovation opens up for new ways of creating value, solving problems – and doing business. Local Exchange Trading Systems (LETS), venture philanthropy, microcredit, CSR, Fairtrade certifications, Gross Company Happiness measures, emissions trading and hybrid social business models are all examples of recent concepts that have emerged. And thanks to web 2.0 technologies, we are rapidly moving into the era of innovation, where all conventional rules and logics are being challenged. It is a new world where creativity, responsibility, self-organization, participation and decentralization are key principles. This is opening up to a new level of innovation, collaboration and co-creation across national borders, professions and organizational hierarchies. Welcome to Business Unusual! Want to gain insight into the new innovation formulas for problem-solving and economic & social value creation? Learn from The New Pioneers – progressive companies and social innovators – who are paving the way for responsible and sustainable business one innovative step at a time in a wide range of industries from media, food, agriculture and banking to medicine, cosmetics, IT and design. Mix the speed of online technology with human expertise and engagement. Utilize open innovation and online sharing to solve problems and develop new products. Engage consumers to create content and products on the ethical consumption markets. Involve citizens and users both online and offline to generate welfare solutions. Join forces with civil power brokers to solve your business challenges. Break the business-as-usual cycle by shaping new partnerships, using resources in new ways, developing sustainable products and services and more. Generate (corporate) social innovation and new business models by developing solutions to social or environmental challenges.